I work a lot with aliented children, those who are still alienated and those who are in recovery from it. In doing so I find myself always aware that these children are distinct from other children in that their psychological self has been divided in two. For these children the world looks and feels like the battle ground of some comic based armageddon, where the goodies are out to defeat the baddies. In the world of the alienated child, without the protective input of a parent who is healthy and who has perspective, the child develops in the mirror held up by the alienating or influencing parent, which reflects back to them, a world which is divided, brittle, blaming and self righteous. When faced with this kind of fused dyadic relationship, the work to be done is as much with the parent who is influencing as it is with the child. This is not readily possible however without the input of a mechanism through which the power dynamic can be changed. This is because, parents who are in this fused relationship with a child (often called enmeshment), will tighten their grip on the child should anyone attempt to intervene. Thus, the real work to be done is in changing the power dynamic around the child to loosen the grip of the influencing parent upon the child’s psychological self. Only then can the child begin to regain the freedom to relate normally to the world around them. Sadly the court is the only arena where this kind of power dynamic can be changed and the role of the mental health professional in shifting the balance of power has to be focused upon assisting the court to understand what needs to be done and why. During the process of therapy therefore, as the therapist begins the process of prising the child from the grip of the parent, the court has to be utilised to ensure that the therapist can hold the power dynamic firmly. Without that the therapist is vulnerable because the risk in doing this work is that in intervening in what is often an unconscious re-enactment of a deeply buried trauma pattern, the therapist becomes the target of the alienating parent. When this happens, blame projection erupts and the therapist, alongside the rejected parent will become the target of that. The therapist who is aware of that makes ready for the time when they will become the focus, as the alienting parent attempts to repeat the patterns of behaviours which have got them through life thus far. This is an uncomfortable way of working with people but very necessary because it is the unconscious drivers of the influencing parent which are the cause of the problem in the child. Any therapist who is not aware or protected in the form of a court ordered intervention, risks serious damage to their own selves in such a situation. All of this occurs because we are born into a world where our very existence is designed to propel us towards relating to others. As we come into consciousness we find a sense of ourselves becoming a person in the relationships we have with our primary caregivers. No longer born, at least in the western world, into a world where our mothers are the only people providing that care, our relational selves are brought into being through the laughter and smiles and positive reflections of ourselves given to us by our parents and our wider family. As we grow we will prefer the company of one parent or the other and then our wider family members will become securely attached through their consistent presence and response to meeting our primary needs. By the time we are seven years old, should all have gone well, we will have a sense of the individual and internal self which is connected to the concentric circles of family and friends. From here we can move off into exploring the world, safe in the knowledge that our primary carers remain in place to provide for us the safety we seek when we are in need. Thus we learn that the world is a benevolent place which is shaped by our interaction with it. Our childhood allows us the time and the space to build the functions we need to be healthy adults and we can play, rest and explore, free from concerns which are not ours to worry about. In the parent who is causing alienation, none of the above applies because the mirror that life held up to them when they were young was distorted which led to a series of adaptations in which the defences of the growing child enabled them to survive in a dangerous world. These kind of adaptations are largely unseen in our society and we certainly do not see them in our loved ones during the early days of our relationships. As time progresses however and particularly during times of crisis such as the birth of a child, the adaptations make themselves known as the unconscious drivers in the parent begin to control the behaviours in the present day. Nowhere are those drivers more powerfully raised in alienation than after the birth of a child. This event, in parents who have hidden adaptations, is a crisis which causes a fracture in the defences in the mind, which in turn allows the ghosts from the nursery to come out to play. In short, the birth of the child triggers the fractured aspects of the parent’s mind into action and those messages learned in the distorted mirror in their own childhood take over the wheel in their own parenting in the here and now. Because the power of the unconscious drivers is overwhelming and the control that the parent has over the child (and quite often the child’s other parent as well) is immense, the fusion of the child with the distortion in the mind of the parent is complete. This is why therapy with alienating parents is so incredibly difficult to undertake, because by the time the child has entered into an alienation reaction, they have been trained for years to think and act like the parent who has had control over them. 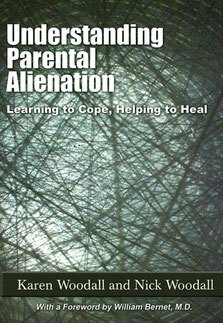 This parent has usually also, by the time the problem is recognised, controlled the other parent, extended family members and anyone else who has attempted to share a relationship with the child, to the degree where their felt narrative, which is that they and only they are the right carer for the child, is shared by the child concerned. Put simply, the child has become the reflection of the parent and neither can act independently outside of that mirror image. Intervening in that scenario as a therapist is both tricky and risky because the attempt can trigger the parental defences which are then turned towards the therapist as well as the other parent. Unconscious defences are the very material of life and as such they are those things which therapists are trained to work with. Raising those defences in alienation cases however requires both awareness of the risks and determination to carry through the work being done, for the sake of the child first and then, if it is possible, for the parent too. 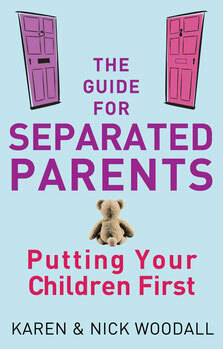 In all cases of intervention with alienated children, the aim should be to restore the ability of the child to look in two or more mirrors in order to build a functioning self, which means having a relationship with both parents as well as wider family members as far as is possible. How this is achieved however, is not straightforward because the therapist attempting to break the fusion between the parental and child mind, is very much at risk of suffering the same fate as the rejected parent. Therapists in this field, and some will be aware that I am one, risk complaint, attack, attempts to discredit and more as the unconscious drivers push the parent to target anyone who tries to bring change. Thus, the strongest of judicial controls should be in place around any piece of work which is undertaken with an alienating parent and therapy should not be offered without a solid framework of findings of fact and where possible, judgements in the case if there are allegations being made. I remain unsurprised at the lack of therapists in this field in the UK and I often wonder myself whether I can continue to do this work in what feels like a psychological war zone. The court system is such a blunt instrument with which to operate upon highly complex psychological presentations and even with the finessing that mental health interventions bring, the cutting open of fused, adhesive relationships between parent and child is a bloody business. This work, which is so necessary and yet so under provided in the world is something however which must not be dumbed down or wrapped up in the narratives of people who think they know about alienation but do not. There are too many people out there who continue the belief that talking therapy is the way forward when it is not. It is irresponsible in my view, for anyone who works in this field to promote any approach to working with alienated children and their families which does not follow the internationally recognised and proven standards set by the likes of Friedlander and Walters in their direct work with families. This is not academic work although it can be informed by research and it is not furthered by anyone who is unable to demonstrate a success rate in freeing alienated children from the dynamic they suffer. Therapists who are afraid to get their hands dirty and accept the risks that come with this work should be avoided at all costs. Money paid to people who want you to sit in an office and talk about the problem is wasted. Change in these circumstances comes from active involvement, strong interventions and a willingness to guide the court to make the right decisions. Children living in the mirror of their parent’s mind need more than a mild attempt at liberation, they need a full on assault on the power dynamic that keeps them captured. Don’t waste your time and money on any intervention that does not give you all of those aspects because doing so risks fusing the problem tighter and increasing the bind the child is in. There is so much to say about this work and I am often so busy doing it that I don’t have much time to write about it. It is important however that as our work at the Clinic begins to reach critical impact, that I open the doors on what we do and how we do it. Some interviews with children are being compiled and new research is underway. A new book is in the offing as we approach the birth of our first book in this field. A series of articles on the reality of being a therapist in this field is also being co-written alongside some work on building resilience in children. Much to do. The children in the mirror spur us on. Very informative. I am thankful to you for sharing this awesome article with this helpful knowledge. this is the blog that provide the lots of good information thanks for provide a such a good information.Every time I come here, I get some very useful info. This one is the best post on ...Thanks for sharing this unique article. The toughest of legal controls should be in place everywhere any part of work which is assumed with a disaffecting parent and therapy should not be offered without a solid framework.